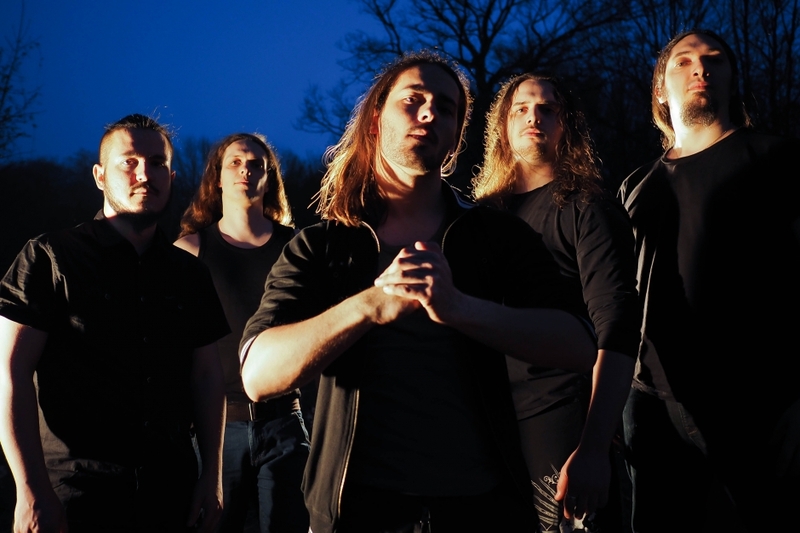 CHABTAN, french metal band formed in 2011, draws its influences in deathcore and melodic death metal (In Flames, Arch Enemy, Betraying The Martyrs…) and propose a concept based on mesoamerican mythologies. The parisian band, composed of Cristofer Rousseau on vocals, Jean-Philippe Porteux and Dimitri Merly on guitars, Laurent Gasperetti on bass and Yanis Bergheul on drums, produced its own entirely self made EP "Eleven" in 2013, mixed and mastered by Andrew Guillotin (The Arrs, As They Burn), and offers it for free download. This first opus, which offers a raw music without any concession, is well received by critics. In 2015, the band released their first album "The Kiss Of Coatlicue" produced by Fredrik Nordstrom (In Flames, Arch Enemy) via the scandinavian label Mighty Music. Today the band is focusing on the scene to defend this new album.